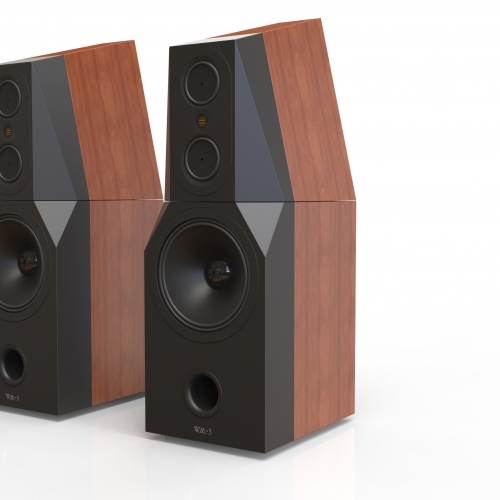 For reasons that may be just ‘because we can’ or maybe ‘we need a better monitor to understand our electronics product development’ or maybe just “what happens if we bring all our skills together” the team decided to design and prototype a significant loudspeaker. 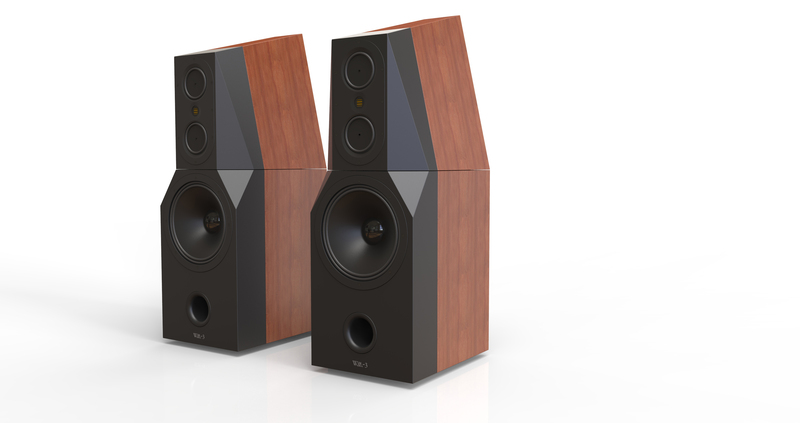 The WM-3 is a large loudspeaker that can sound like a very large one but more importantly it can also sound like a small one. There is no identifiable cabinet thrum that drones and creates a pseudo low end when it should not be there. The WM-3 as it is known – as this is the third prototype (not that you would know it was a prototype from its fit and finish) – is the good looking sibling of the WM-2 that was experienced by Ken Ishiwata from Marantz who instantly decided that this was the loudspeaker to use for the Marantz demos at the Munich High End Show. So what makes the WM-3 special? Let’s start with the fact that with a sensitivity of 90.5dB /2.83V a minimum impedance of 4.8Ohm so a nominal system impedance of 6Ohm with a maximum phase shift of -300 +10. Its an easy load to drive. The bass driver is a special version of a 15in Beyma designed for studio monitor use. It features a pressure die-cast basket with a 3inch medium long voice coil in a short gap with ±6.5mm of controlled excursion. The surround is, classically correct, corrugated cloth for low stored energy – the key being voice coil and surround in perfect balance. The magnet system is compensated for lowest distortion. The two mid-range drive units are flat coned and direct driven each from a 3inch voice coil. They are in-house designed and manufactured and deliver a wide even dispersion. Aluminium rings and copper caps in the motor system help deliver a flat impedance. Flat coned mid-range drive units don’t include the mild but familiar ‘Wah’ colouration that so often can occur with cone shapes. The drive unit design is a tailored and optimised version of the full range drive units of which Fink Audio are probably the world design leaders. The high frequencies are handled by an Elac Air Motion Transformer (AMT) chosen for sound quality. It has a large radiating area compared to a conventional dome tweeter and good dispersion. The AMT crosses in from the midrange at around 3.5kHz and operates up to 40kHz. The two mid units and the AMT are mounted on a substantial aluminium face plate which is mounted and isolated from the front baffle using a damping compound. The crossover is classic Fink thinking: it is 4th order Linkwitz-Riley acoustic but in the WM-3 an all-pass stage is also used to introduce a phase correction so that the mid/high is connected positive phase. The alternative would have been either connecting the bass driver in antiphase or a mid-high section stepped back considerably bringing its own problems with diffraction due to secondary radiation, neither being ideal. Of course in a project of this nature the crossover uses some of the finest components available. The LF inductors are huge laminated steel E cores and are air core for the mid-section. Capacitors are a combination of Mundorf and Clarity polypropylene film. Resistors are Mundorf or Isabellenahutte. The Mid and HF enclosure is manufactured from a three-layer construction using a new damping layer which is now proven. It’s constrained layer damping. The extremely stiff lower section is tuned with braces, thickness of materials, number of layers and of course the choice of material itself. Further tuning takes place with multi-resonance arrays tuned to critical frequencies to dramatically reduce standing waves and areas of maximum energy. The system is single wired utilising Mundorf Supreme silver-plated copper connectors. The system is unlikely to be available for sale.